So excited the weekend is almost here! This week crawled by even though it was rather busy. I am looking forward to making my way back home for Father’s Day. It will be so nice seeing the family! Any fun plans for the weekend?! As you know, if you have been following my posts, I am getting ready for a fun Euro trip in 4 short weeks! So as you can imagine my mind has been on what cute outfits I can buy and come up with for each day of the trip haha. I have been in love with wedges lately. I thought it would be fun to post some of my favorites that I have been eyeing for this trip. 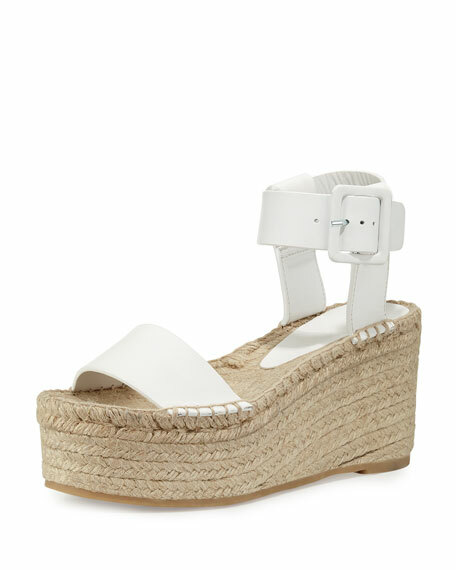 I like to get wedges that can double for day and night and are comfy, casual and easy to match with most outfits. That way a couple pairs of wedges can be worn with a few different outfits. I am also loving espadrilles lately too! My FAVE Marc Fisher ones!